The above info came from Symos, and was edited by yours truly (contact me). The image came from Wikipedia. 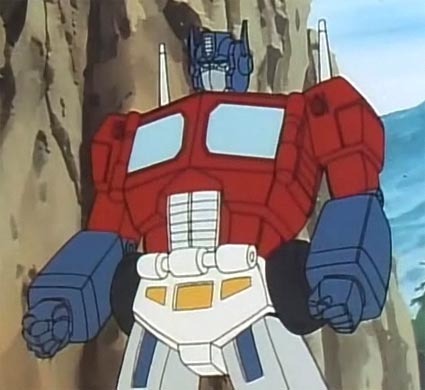 Ginrai was once a simple Japanese truck driver living and working in America. However, his life changed once he found a mysterious truck cab. When transporting a sick dolphin to Diver for treatment, Ginrai's original truck broke down and he needed to rent a new one. The one he rented had a history of strange things happening. Despite this, Ginrai rented the truck and made his way to Diver with the dolphin. On his way, he discovered a pair of Master Braces in the glove compartment. He put them on and found he could not remove them. Once he arrived, Diver recognized the braces and rode with Ginrai in order to explain what they are. It was not long before the Destron Godmasters Buster and Hydra began to attack them. Diver struggled to hold them off, but Ginrai soon discovered the secret to his truck, and merged with it to form a robotic warrior. It was not long after that Ginrai proved his skill among the Cybertrons. 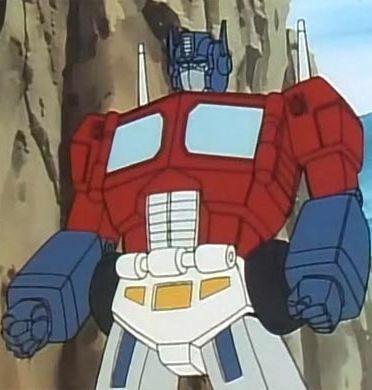 In time he discovered the trailer to his truck and used it to become Super Ginrai. His power was further enhanced when Godbomber was created. With Godbomber, Super Ginrai could merge ad become God Ginrai. The above description came from Symos, and was edited by yours truly (contact me).